Half the profits will go to the Forest Park Conservancy. Celebrating Forest Park Conservancy’s 70th year, Wonderland Mapping has re-released the map with the new FPC logo. Wildwood Trail is an iconic and much-beloved 30-mile path that traverses the vast, forested wildscapes of Forest Park. 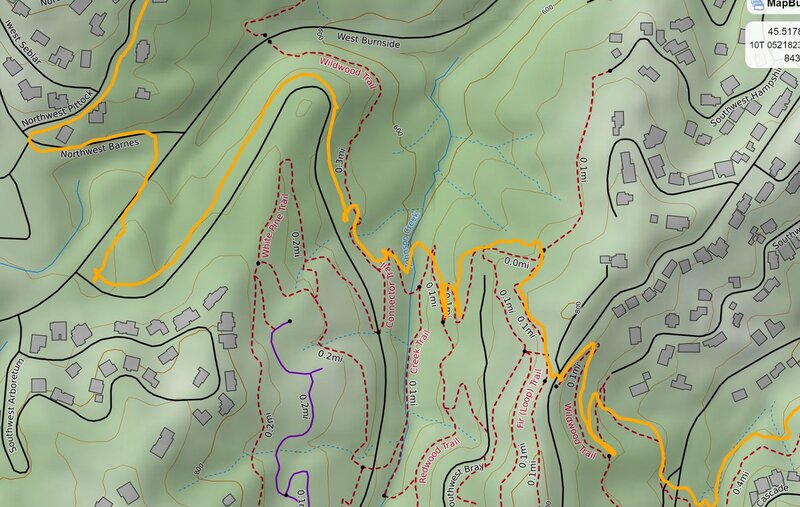 Wonderland Mapping has created this thoughtfully elegant display-quality map of the Wildwood Trail. Now you can have a high resolution 24″ x 16″ print for just $40 plus shipping! Half the profits will be donated to the Forest Park Conservancy, whose mission is to maintain trails, restore habitat, and inspire community appreciation for Portland’s greatest natural treasure.